Piping systems made from Polybutene-1 are a vital part of latest generation building technology and are specified for large-scale building projects, heating and cooling, plumbing installations and district energy. PB-1 piping systems are replacing systems made from traditional materials because they offer benefits in long-life performance and energy saving, logistics, installation and on-site handling for today's demanding building requirements. Polybutene-1 (PB-1) has been successfully used in pipe applications in Europe for over 40 years. Installations made at that time in Austria and Germany for District Energy and Underfloor heating are still operating without problems today. Since those first successful installations, advances in both material technology and production processes, combined with stringent EU and International standards, has further raised the performance and reliability of Polybutene-1 piping systems. Over 40 years, PB-1 piping systems, with advances in jointing and installation methods, have become the state-of-the-art for heating, cooling and plumbing. The evolution of piping systems for heating and plumbing applications over the last 40 years has been accompanied by advances in jointing and installation methods. The advent of plastics, and in particular, Polybutene-1 systems, is the latest step in this evolution. Rigid systems, with their problems of making watertight joints in confined spaces are rapidly being superceded by more plumber-friendly systems such as PB-1 enabling easy prefabrication, efficient logistics and onsite handling, faster installation – particularly in confined spaces. The inherent physical properties and performance in service of Polybutene-1 systems eliminate many of the problems and difficulties associated with traditional piping materials and installation. Polybutene-1 was introduced to the European market in the mid 1960’s and has a successful record of prolonged service in pressurised hot and cold water systems. As a result, PB-1 is widely recognised by manufacturers and installers of piping systems in Europe and Asia as the material of choice for these systems. 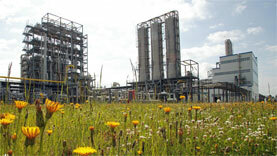 Long-term ISO 9080 tests performed on PB-1 pipes project service lifetimes of over 50 years. Studies from independent experts show no evidence of defects or degradation after long service periods. PB-1 is recognised in EU and International standards for plastic piping. PB-1 uses less energy during its manufacture, conversion, installation and end-use than its competitors, and is recyclable. Polybutene-1 is inherently flexible, strong, resilient and light weight, with a density similar to water of 0,92 g/cm3. 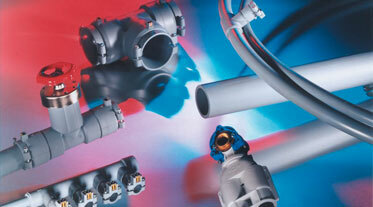 PB-1 pipes and fittings are odourless and tasteless and meet 'contact with food' approvals. They are therefore ideal for use in drinking water applications. PB-1 pipes can be installed as a conduit 'pipe in pipe' system through concrete floors and walls to ensure low maintenance.